ENDE- the transport by trailer experts, has just transported a car by trailer from Melksham, Wilts to Chichester, Sussex . 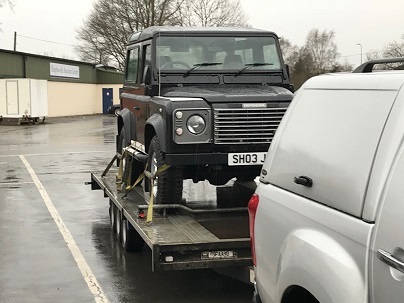 Ende Ltd has just transported a L’Rover Heritage 110 car by trailer from a dealership in Melksham, Wilts and safely delivered it to another dealer in Chichester, Sussex. ENDE- the transport by trailer experts, has just transported a car by trailer from Shrewsbury, W Midlands to Melksham, Wiltshire. 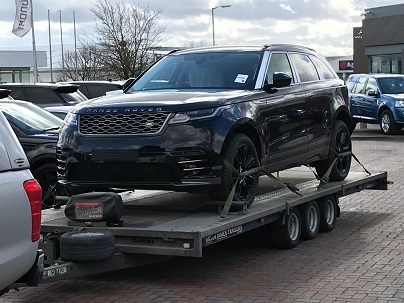 Ende Ltd has just transported a L’Rover Velar car by trailer for a dealership from Shrewsbury, West Midlands and safely delivered it to another dealer in Melksham, Wiltshire. 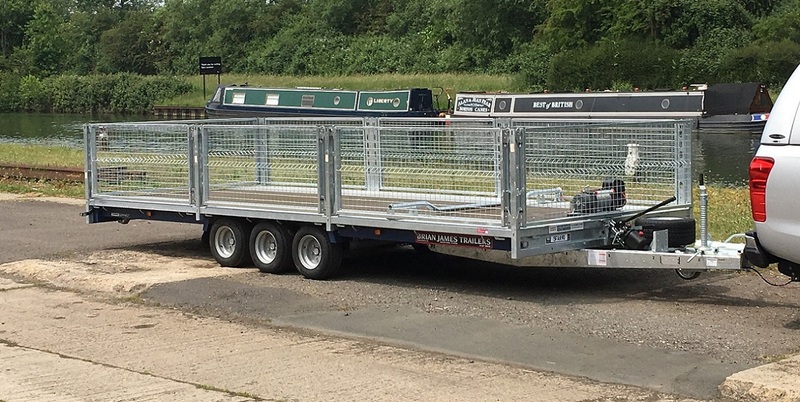 ENDE- the transport by trailer experts, has just transported a car by trailer from Macclesfiled, Cheshire to Melksham, Wiltshire. 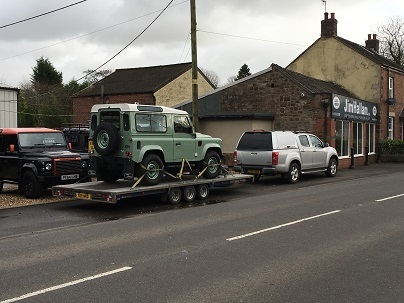 Ende Ltd has just transported a L/Rover Defender 90 Heritage car by trailer from Macclesfield, Cheshire and safely delivered it to Melksham, Wiltshire. ENDE- the transport by trailer experts, has just transported a car by trailer from Leicester, Leics to Swindon, Wilts. Ende Ltd has just transported a car by trailer from Leicester, Leics and safely delivered it to a dealer in Swindon, Wilstshire. ENDE- the transport by trailer experts, has just transported a car by trailer from Newbury, Wiltshire to Swansea, South Wales. 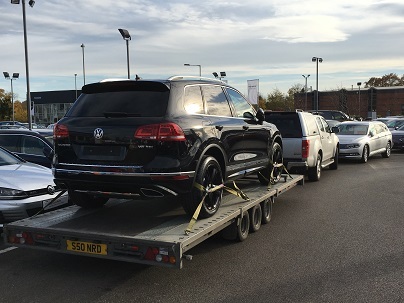 Ende Ltd has just completed a dealer transfer and transported a VW Touareg car by trailer from Newbury, Wiltshire and safely delivered it to Swansea, South Wales. 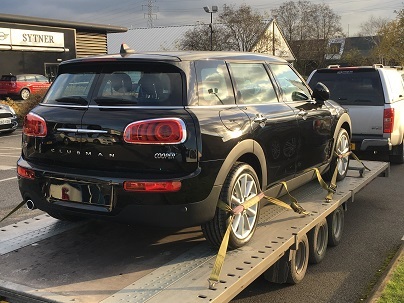 ENDE- the transport by trailer experts, has just transported a car by trailer from Chelmsford, Essex to Warminster, Wiltshire. 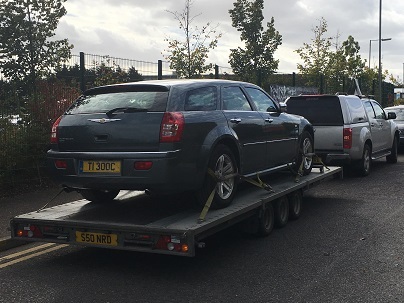 Ende Ltd has just transported a Chrysler 300C car by trailer from an auction at Chelmsford, Essex and safely delivered it to Warminster, Wilstshire. ENDE- the transport by trailer experts, has just transported a car by trailer from Swindon, Wiltshire to London . 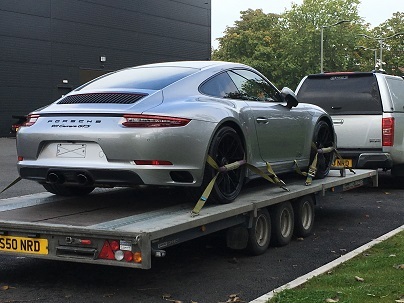 Ende Ltd has just transported a Porsche 911 GTS Carrera Coupe car by trailer from Swindon Wiltshire and safely delivered it to London for a private client. ENDE- the transport by trailer experts, has just transported a car by trailer from Hungerford, Wiltshire to Norfolk . 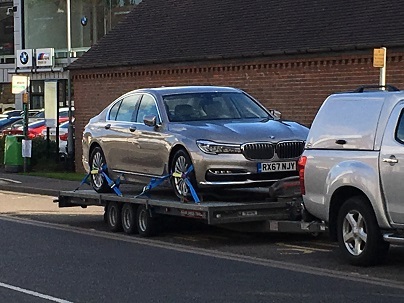 Ende Ltd has just transported a BMW 740d car by trailer from a dealer in Hungerford, Wiltshire and safely delivered it to a customer in Norfolk. 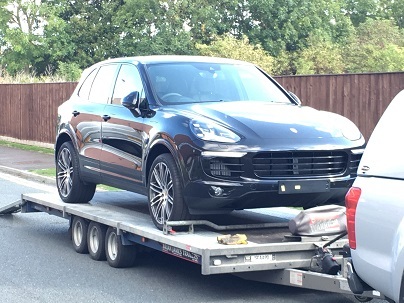 ENDE- the transport by trailer experts, has just transported a car by trailer from Swindon, Wiltshire to Pershore, Worcestershire. 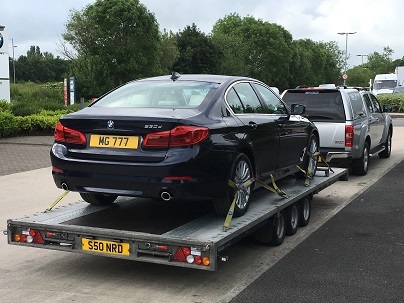 Ende Ltd has just transported a BMW 530d from a dealer by trailer from Swindon, Wiltshire and safely delivered it to another dealer in Pershore, Worcestershire.